A phrase that I have often heard and have also used from time to time is “when the student is ready, the teacher will come.” For the past 5 weeks I have been following along in a unique learning opportunity presented by D’vorah Lansky, the “30 Day Book Marketing Challenge.” As this challenge comes to its conclusion, I feel that the phrase above needs to be amended a bit with the following added … ready or not, here I Am, Are You Ready? The depth and breadth of the lessons, the resources, the presentations, the tools and the connections made available through this program was and is an “awesome” learning experience. Kudos to you D’vorah, well done! In a five star rating system I will give you a 10+, off the scale for sure, and I sincerely thank you. Kudos must also be given to all of the authors, presenters and participants for their contributions in this editor’s/writer’s/author’s journey. My journey into this editing/writing/authoring experience began quite serendipitously as a collaborative project back in December of 2012 when I was introduced to a uniquely thoughtful young writer from Nigeria, Adamu Donald. Quite by chance I became friends with a very beautiful young woman through social media, i.e. Facebook, who told me straight away that she liked the way I expressed myself and asked me if I would be interested in editing a book being written by a friend of hers. Little did I know then what an awesome journey this would turn out to be. Working together through many back-and-forth email correspondences and through social media chats, we finally completed the project at the end of February of this year (whew … yeah and yahoo!!) with 2 books now in pre-publication. Having completed what had started as an editing project now became a marketing/publishing project. What to do? I was neither a publisher nor a marketer, and until this moment I had not seriously considered it. Well then, it was time to put on a new hat, maybe buy some new shoes and learn a new creative writing skill. At the beginning of March I set up our website, http://www.angelicconcepts.com/ to promote the works of my now very good friend and author through the social media (http://www.facebook.com/ascensionheart) that had introduced us. I also began using my blog at http://ascensionheart.wordpress.com. This is where D’vorah and the Book Marketing Challenge comes into the picture, serendipity again, the right place at the right time. Oh, thank you for sharing that lovely story! You DO express yourself well. Blessings on your and your projects! Great story! And how wonderful to have a partner to work with as you both jump into this world of publishing/marketing! Good luck to you both, and I hope that you, William, will consider also writing a book of your own. Your article just drew me in…. Sounds to me as if you have been called to a new place in your life AND you are answering that call with enthusiasm! There appears to be quite a movement to authentic spirituality and that your work is aligned with that energy. Good luck! 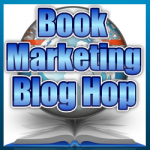 Hello William: Congrats on being one of the only men in the Book Marketing Blog Hop! I, too, found the Book Marketing Challenge to be a most worthwhile endeavour. My focus will be on arranging a virtual book tour for my chocolate travel book, Chocolatour. Best of luck for you and for your author friend. William, your story is very inspiring! Thanks for sharing it and good luck on your journey! William~ You are so right, it’s 10+, off the 5 pt. scale for sure. You sound like someone who recognizes how to flow where he need to go. Wishing your great success. A lovely story. Good luck with your new hat. Lovely post William, thank you. All the best for your future adventure in writing and marketing! Hi, William, Thanks for sharing. I LOVE positive stories! Let me know if you’d like to guest blog on my site! From the BMC Blog Hop! If you put up your FB series or author page, I LIKED yours and would appreciate a reciprocation: https://www.facebook.com/TheSpannersSeriesbySallyEmber or a FOLLOW:http://www.sallyember.com Best to you! William, I love your writing style. I find myself wanting to settle in and get cozy as I’m about to read a deliciously fascinating story! What a gift. I’m so glad you’ve found the book marketing challenge to be helpful to you on your journey! I love “Angelic Concepts”. I could just sit and watch the flowing rainbow for hours. I was delighted to see your quote: “when the student is ready, the teacher will come.” That statement can also just as easily read: “All that you need will be provided” which has been the true underlying message of my life. Thank you for a beautiful approach to the training we have enjoyed together and for sharing the incredible journey you have had the incredible privilege to be part of. I look forward to meeting you again and again on this journey. Thank you for sharing the joy that you have encountered in all your relationships. May your project provide successes beyond your dreams. There you go…over-tired again, and that old brain injury caused me to use the same word twice within the same sentence…Time to relax and take some time off. I will send a like from Facebook. You have a wonderful story. I wish you all the best on your book marketing journey. Hi William! This is a beautiful and peaceful website to visit. Enjoyed your story about synchronicity. I’m enjoying D’vorah’s work right along with you. Many Blessings! Thank you for participating and sharing your story with us. I’m sure all of us have some lessons learned and will be ready for more once we make sense of all of it. Much promise in your success! !